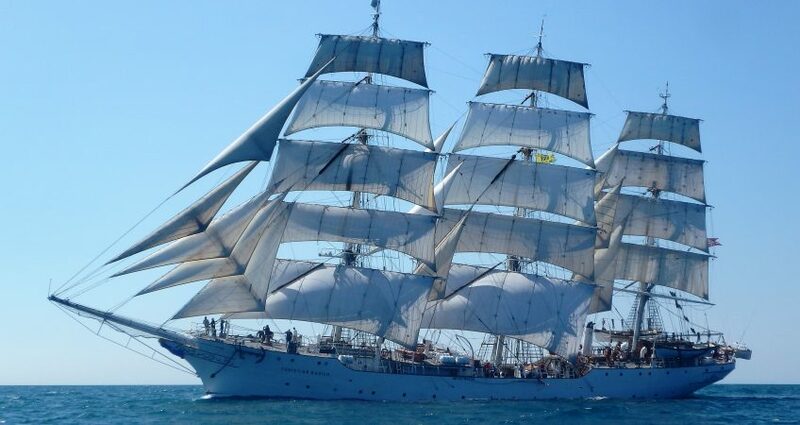 FMS has had the pleasure of assisting the sail ship Christian Radich will they have been in the Faroe Islands for some days. Her is some information abut the vessel: Christian Radich was built by Framnæs Mech. Yard in 1937. She was built as a sail training ship: the orlops (dormitories) had capacity for berthing 80-90 students (maximum 80 today after renovation), a large galley for learning to cook, carpentry training, and earlier there was also a machine shop on board (where the galley is now) for the training of engineers. The purpose of the training ship was to train sailors. Sailing-ships were the usual vessels around the turn of the century and that is why the sailing ships continued as a school ship later on.